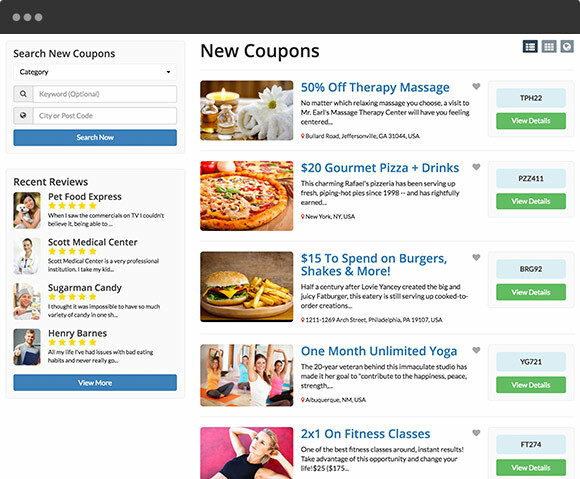 Deals and coupons are great for driving business to your website, to your business members and to encourage affiliate marketers to register on your website. Members can publish deals and coupons. The coupon code will be displayed on the detail page with a button that links to the business’s website where the product or service can be purchased. Easily post searchable deals and discounts on your website. Perfect for affiliates to share deals with their affiliate links. 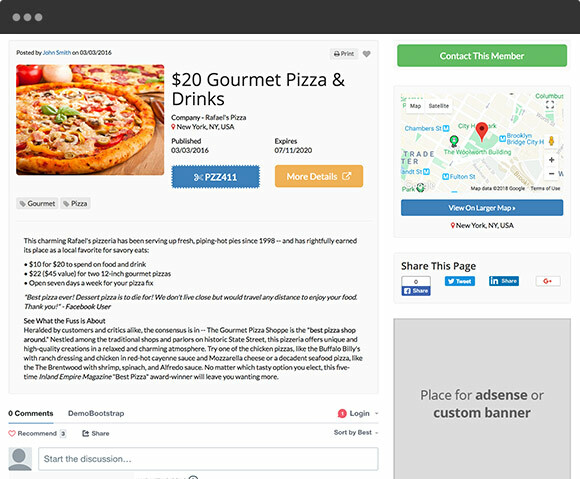 You and your members can publish deals with coupon codes, images, additional info and purchase links. Deals can have expiration dates applied to them to help encourage users to promptly redeem them. Members who are marketing affiliates can publish their affiliate links with the deals they share.